In an alternate London where magical creatures are preserved in a museum, two teens find themselves caught in a web of intrigue, deception, and danger.Vespa Nyx wants nothing more than to spend the rest of her life cataloging Unnatural creatures in her father’s museum, but as she gets older, the requirement to become a lady and find a husband is looming large. Syrus Reed’s Tinker family has always served and revered the Unnaturals from afar, but when his family is captured to be refinery slaves, he finds that his fate may be bound up with Vespa’s—and with the Unnaturals. Admittedly, this is more of a Waiting on Wednesday post, but when I mentioned to Tiffany that I was going to post about it she proposed we conspire to post on the same day. The cover is amazing, and is a beautiful representation of characters and story according to Tiffany. But the reason I want to read this book goes much deeper. 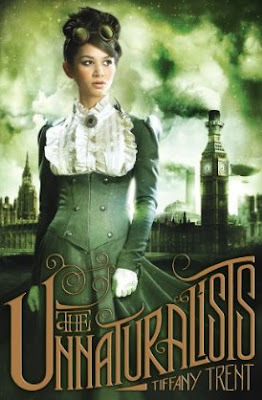 The story sounds excellent, full of steampunk wonders, magic and action. *swoon* I won't lie though. I'm excited about this one because Tiffany is extremely excited about it, and it means a lot to her. I heard about this novel a few years ago when it was still a work in progress and even then only got vague details. What I did know was that Tiffany was struggling writing and worried that she might have peaked as an author, and she was hoping to make her re-entry into publishing with this novel. When I heard Simon & Schuster bought it I was thrilled for her. To me it meant they'd be making her story into a book and that I and the rest of the world would get to experience Tiffany's unique storytelling abilities again. For her, I have to believe it was an affirmation that there was more to come in her writing career. 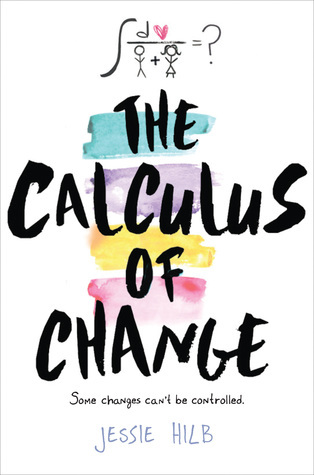 I know August is a long way off, but I can't encourage pre-ordering this book enough. It's a book that, knowing even bits of the story behind it, has heart and soul and 100% effort in it, and to me that guarantees a rich and wonderful read. To celebrate the cover reveal, Tiffany is hosting a contest on her blog that ends January 31st for a prize pack full of steampunk awesomeness and other goodies. You can head over to her blog and enter for your chance to win it all. Can it be August 14 now please?